Welcome to my website?s interactive page. The tracks listed below are taken from my home-recorded CD ?Diamond Chippings from the Masters? Workshops?, on which I play a short extract, movement or work by each of several major keyboard composers in chronological order. 1. Each extract needs to be by a major keyboard composer and very well-known, or, in the case of a major keyboard composer where there isn?t an obviously well-known work to select from, should at least be likely to have immediate appeal. 2. Each extract needs to be generally within the scope of the keen but non-professional pianist, while allowing that technical and musical abilities vary. 3. Each extract needs to be ?out of copyright?. When compiling my list of major keyboard composers, I considered each composer and decided that if there were works in existence that had pretty much iconic status, I needed to do one of them. Consequently, a number of works that I hadn?t previously got around to were learnt especially for the project; this was possibly the result of a previous youthful arrogance in viewing certain well-known works as pot-boilers, and, inevitably, there were some works that I had simply overlooked. In order to maximise my understanding, I normally learnt the whole movement or work that each track involved. The only exceptions to this self-made rule were tracks 4 and 9 ? wherein I learnt and recorded the respective themes but didn?t get around to their appertaining variations ? and 30, where taking on the whole work would be a formidable challenge for any pianist! With hindsight I can see that if I?d learnt track 4 and 9?s variations I might well have ended up playing their themes at quicker tempi than recorded here, but as stand-alone items I like to think the recordings work well enough. While viewing all the works involved as virtually sacred holy writ, I realised that the project?s purpose demanded a certain brevity; this was an overriding reason for my decision to record only extracts from works in most instances. The descriptors applied to each track give an indication of the proportion of each movement or work recorded; ?opening? implies only a small part of the work or movement, while ?first section? and ?first half? denote respectively larger recorded proportions. My main concern was to record enough to capture something of the essence of each movement or work, and in some cases this meant recording a complete movement or piece. Such pieces often actually form part of a collection of pieces. At first I was concerned that my second criterion might compromise track selection, but fortunately this didn?t turn out to be the case. Perhaps pianistic accessibility, an important factor in a work?s often long and cumulative reception history, is an important contributor to a work?s perceived stature today. This doesn?t seem so outrageous a view when one considers, for example, the piano music of Maurice Ravel. 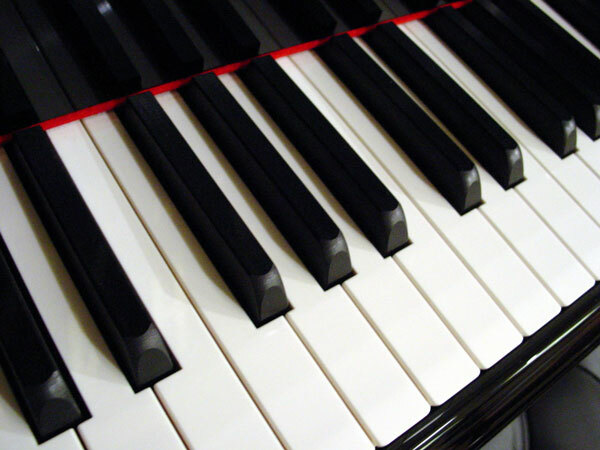 That this constitutes a major contribution to the piano literature is not in doubt, but it might also be observed that it is for the most part exceptionally challenging for the player; is it a coincidence that the one work that could be described as reasonably accessible is also, outside the world of the pianist, the only really well-known one? Anyway, putting this somewhat controversial issue aside, I considered in several instances that there was more than one choice of iconic work available by the composer in question to choose from, and this confirmed the lack of need for compromise as far as my second criterion was concerned. As I compiled my list of major keyboard composers, it quickly became clear that I needed to allocate only one track to each composer; my reason for including three extant Bach tracks is that I recorded them first, before the scope of the project became fully formulated, and it seemed a shame to waste them! The two Beethoven tracks I felt simply had to be included on grounds of sheer popularity and accessibility. Although the one work by Ravel that I alluded to in the previous paragraph actually fulfilled all of my above selection criteria, I chose not to include it for another reason; suffice it to say that I didn?t consider it suitable for this particular website. My third criterion proved to be the most restricting. In order not to involve complications, I had to limit my choices of tracks to composers who died more than 70 years previous to the time of the project. This meant leaving out several twentieth century composers, and I was also unable to represent the piano?s importance in various twentieth-century-based genres, specifically Jazz, Rock and Film/TV. Having said this, I?m sure that you?ll enjoy the rich variety of music that?s on offer here! Simply scroll the list above, pick a track and click the relevant icon to have a listen. Please note: if you've visited this web site before, please go to the menu bar, select the view drop-down menu, and click refresh. This is to ensure that you're accessing the latest version of this website (more audio tracks may be added from time to time). For more information about Alastair Lyle refer to Alastair Lyle.